A score of 61 is also still rare on the LPGA Tour - through the 2013 season, only 11 times had a 61 been shot. 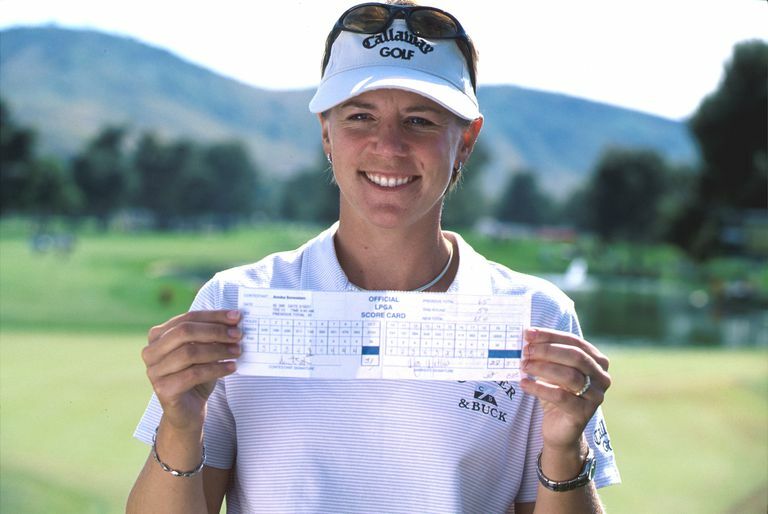 Sorenstam's record 59 was 13-under par, which is also the tour record for most strokes under par in one round. The 60s by Creamer and Acker-Macosko were 11-under, and the Lee/Mallon rounds were 10-under. Sorenstam won the tournament in which she posted the lowest 18-hole score in LPGA history; so did Creamer among the 60-shooters. But Acker-Macosko, Lee and Mallon were unable to win their tournaments listed above.